In 2010 Chris set out to form Sands Investment Group, a firm that would focus on buying and selling net lease properties. His vision was to lead a highly specialized and knowledgeable company able to provide clients with a level of service unprecedented in the industry. A few short years later, the result is one of the fastest growing and most successful net lease companies in the country, with advisors that are among the most distinguished and sought after in the industry. Born and raised in Los Gatos, CA, Chris began his career in real estate in 2004 at Marcus & Millichap where he was named Rookie of the Year. During his tenure at the company, he was promoted to Senior Vice President of Investments before leaving in 2009. Since forming SIG, Chris has participated in the disposal of over 1,400 properties with a value in excess of $4 billion. 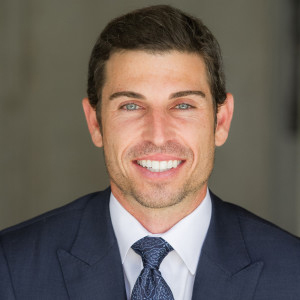 As a graduate of UCLA and former professional tennis player, Chris applies the same drive and determination that enabled him to compete at the highest levels of his sport, to building his business and leading a world-class real estate investment company.